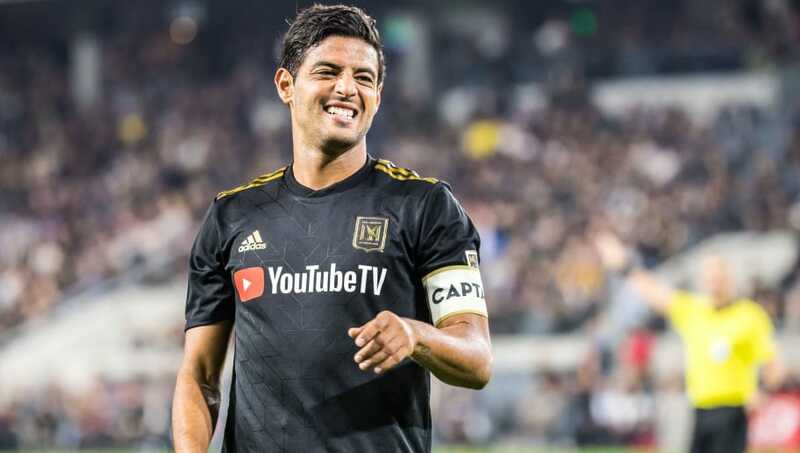 ​Barcelona are keen to sign a new striker during the January transfer window and will finalise a deal for Los Angeles FC star Carlos Vela, if they cannot secure any other deals. After allowing Munir El Haddadi to leave the club to join Sevilla, Barcelona are left with just Luis Suarez as their only recognised striker in the first team. Lionel Messi has also been used in the role, but Barcelona are keen to find a player who would happily be a reserve to Suarez in the starting lineup. News of the potential move for Vela comes from Spanish outlet ​Sport, who state that an agreement has already been reached between ​Barcelona and LAFC to sign Vela on a six-month loan deal, with Barcelona having the option to make the move permanent if Vela proves to be a hit at the club. However, Vela is not their primary target, and Barcelona are hesitating to finalise the move as they look for other options. They are believed to have made contact with at least ten potential new signings, and their shortlist has been reduced to just three, of which Vela is one. ​Chelsea's ​Alvaro Morata was also linked with a move to the Camp Nou, but the Spaniard now appears set to join ​Atletico Madrid. Tottenham's Fernando Llorente, Girona's Christhian Stuani and Morata's teammate Olivier Giroud have all also been mooted. Sport's report also claims that Barcelona are also tracking a third, unnamed striker who boasts extensive experience in ​La Liga, and Barcelona are waiting to see the results of those negotiations before deciding what to do with Vela. Vela, who spent six years on the books at ​Arsenal between 2006 and 2012, has experience of playing in Spain, having turned out for the likes of Osasuna and Real Sociedad in the past. He racked up 69 goals and 47 assists in 252 appearances in the competition, and has continued his impressive form with LAFC. Comfortable as both a winger and an uncoventional false-nine in attack, Vela would provide a versatile option for Ernesto Valverde's side. He is thought to be desperate to return to Spain, and it remains to be seen whether Barcelona will opt to complete the move.